ONLY 23K miles!!! Still almost new!!! 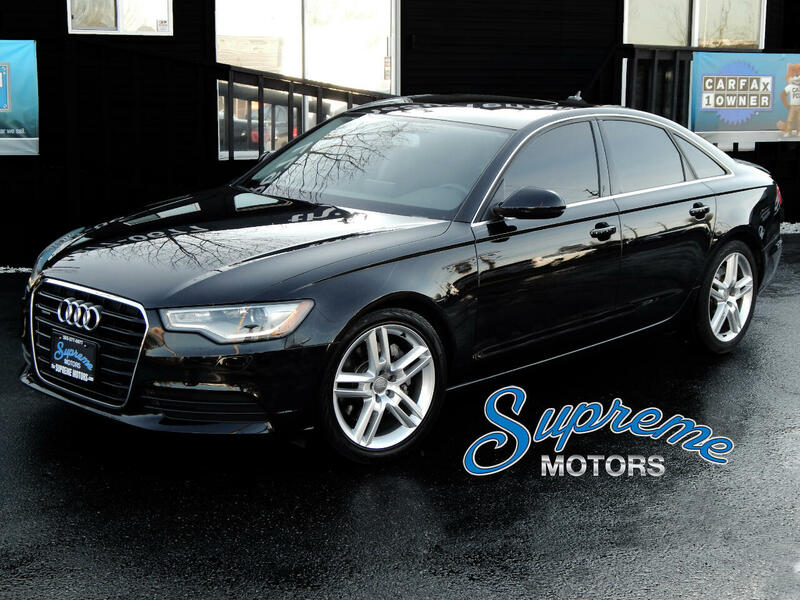 This is a one owner locally owned car with perfect up to date services at Audi of Bellevue. There are no accidents or blemishes on the carfax. This is the TDI version so the gas mileage is exceptional and the low end torque is to die for. With Audi's world renowned Quattro AWD system and the low end torque the TDI version produces, this A6 will get up and go like nobody's business. Its also nice to have instant torque/power and incredible responsiveness in many day to day driving situations. This is really the "ultimate commuter!" With ONLY 20k miles, this Diesel engine has not even been broken in. This car will run and run and run. The interior is the black leather and look much better over time and is much easier to maintain than the light interiors. Don't spill coffee on those light colored carpets. ;) The tires are at 75% and are continental conti pro-contacts. They definitely make for one smooth ride! The LED headlights are "new age" and will keep this A6 looking relevant and new for the next 5 to 7 years! Comes loaded with heated seats, navigation, back up camera, Bluetooth, sunroof, all power options, and more. With the One owner clean carfax, locally owned ( no east coast rust) the 20k miles, great color combo, great gas mileage, this is a lot of car for the money and will make someone's commute a million times better. we also offer extended service contracts which would make this an even better buy and would be at a lower cost due to the low miles. call or email with any questions or stop by anytime to check it out. Remember one of the most important factors on any purchase is that it is not an east coast car, Florida, Texas, Canadian, Michigan, Illinois. We dont sell ANY rust buckets AKA most non west coast cars, or cars that the undersides have been painted or had under coating applied to hide corrosion. This assures no rust or corrosion or the chances it was involved in a flood or hurricane. We had to pay over $4000 more for this TDI because it had a clean history, its color combo, all the options, and rarity! We could have bought a 2014 A6 TDI in silver with the tan interior, or an accident on the Carfax, from New York (or any rust area), without all the packages, with the exact same miles and WE could have it priced at $22900, but that does not mean it is a better "DEAL". Its just a lower price for a lot less quality. Its a lower price, NOT THE BEST OVERALL DEAL. Its an investment and what you are going to own and drive around for 1-15 years. Buy the right one @ Supreme Motors. We carry ONLY the FINEST! Black on black with EVERY MUST HAVE OPTION, and a clean Carfax from the west coast! THATS VALUE and will ALWAYS be worth more than the questionable rust bucket, car with an accident, or a bland color combination!